WOW!! 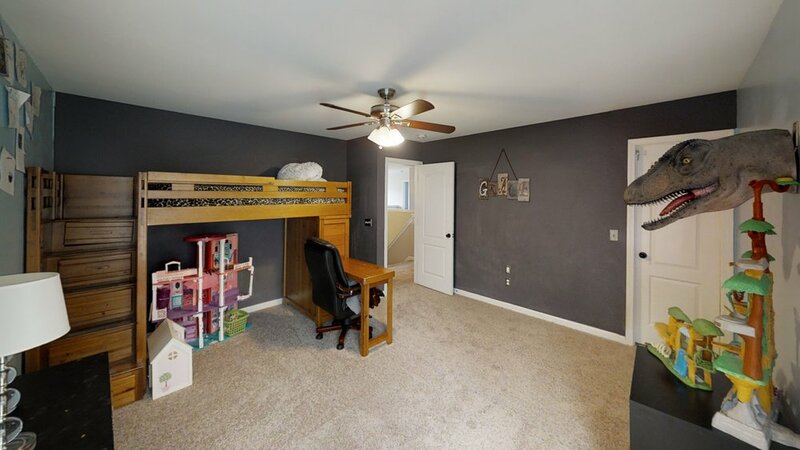 Located in the RIVERSIDE school district with a NEW ROOF, NEW CARPET and FRESH PAINT too! The Village at Bent Creek shares the pool, playground and tennis courts with Bent Creek Plantation. All are included in the HOA dues. Some amazing features are AWESOME FENCED BACKYARD for your family with fruit trees, and a custom PLAYGROUND set in the backyard. 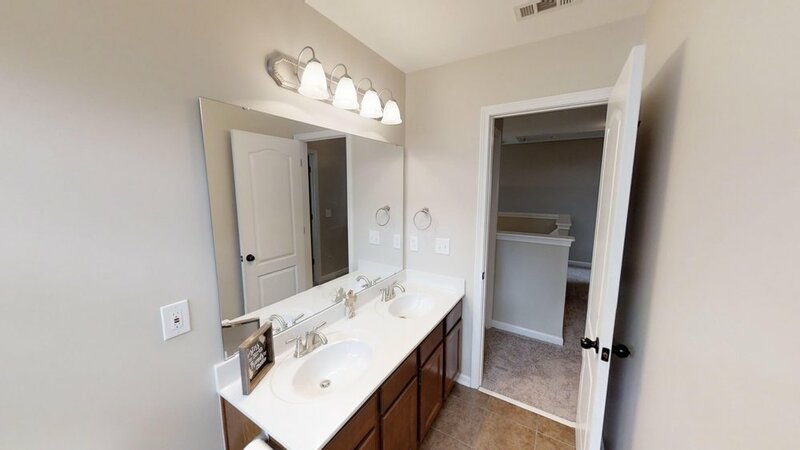 The 3 Car Garage accommodates a FULL-SIZE TRUCK, has ample storage space and hanging storage systems, sink, and yard door for access to the back yard. Need a WORKSHOP? There is a work bench, articulating TV mount, 3 dedicated circuits, 220v, extra outlets and is wired for surround sound. Plus, extra car parking inside and out on the level driveway. Manicured front yard with FULL SPRINKLER SYSTEM, LOW MAINTENANCE ROCK SCAPE, and DRIP IRRIGATION for the bushes. 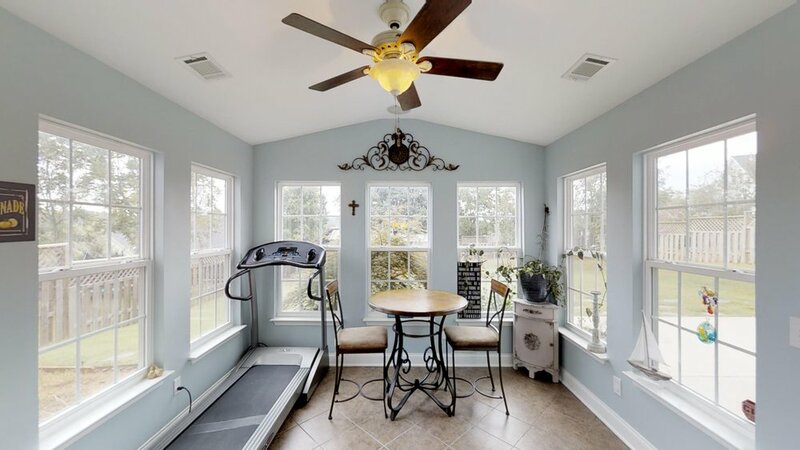 An OVER SIZED PATIO, 21 x 27 is off the sun room, has plenty of room for furniture and grilling, plus has a patio privacy lattice and is SHADED in the afternoons. 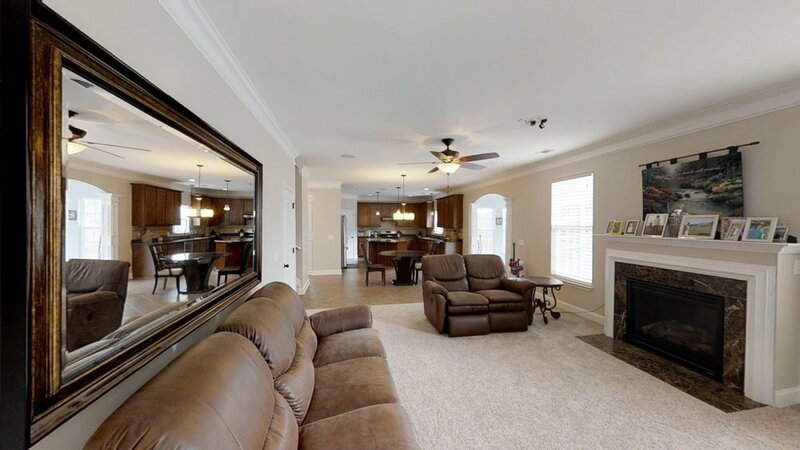 Inside this 3200 square foot home a 2-story foyer greets you and 9 FOOT CEILINGS continue throughout the first floor. 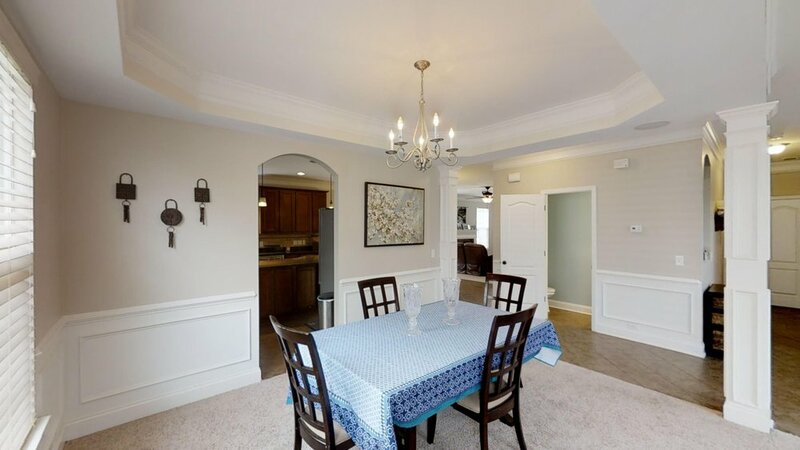 On the left of the foyer you will find a large common area that combines the dining room and living room with beautiful columns, HEAVY TRIM AND TRAY CEILING. The great room opens to the large kitchen. 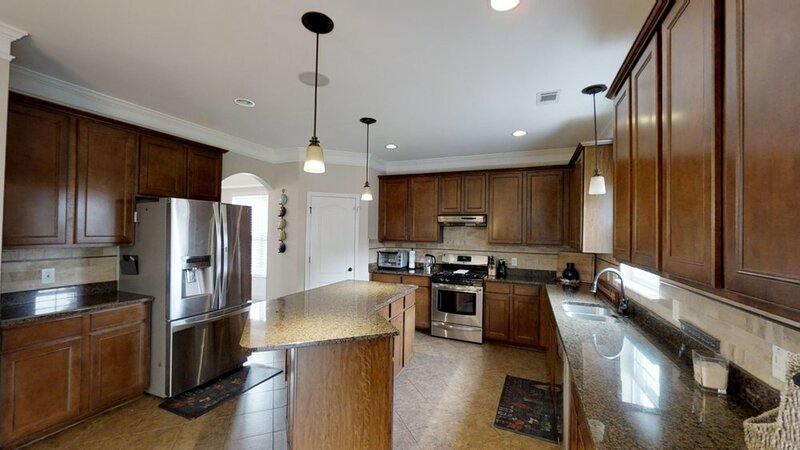 The cook of the house will love this kitchen! 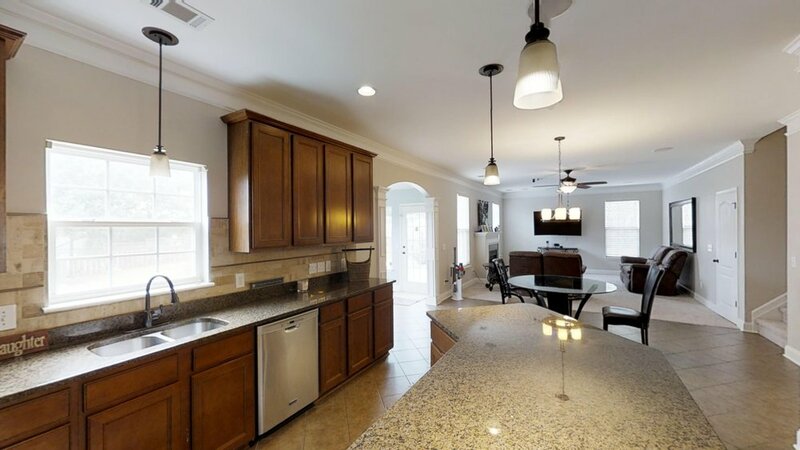 It has GRANITE COUNTERS, custom Travertine BACK SPLASH, ISLAND with stool seating, ceramic tile flooring, and AMPLE kitchen storage. A high-volume STOVE EXHAUST has been added that takes smoke and odors outside the home. A SUN ROOM off the KITCHEN makes for a spacious common living area with a view of the backyard. 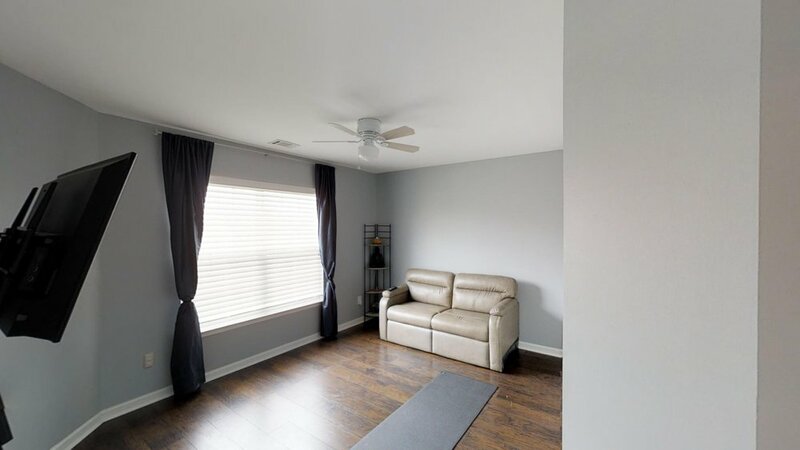 Upstairs are 4 SPACIOUS BED ROOMS and a large Walk-in laundry room. 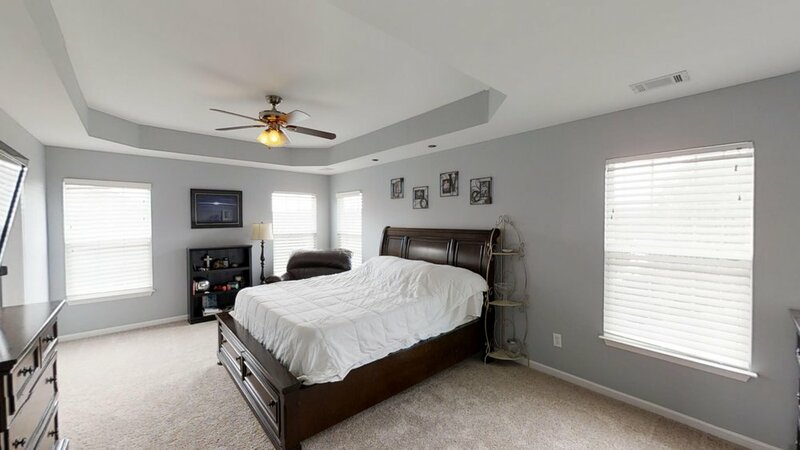 The oversized master suite has a trey ceiling and lots of natural light. 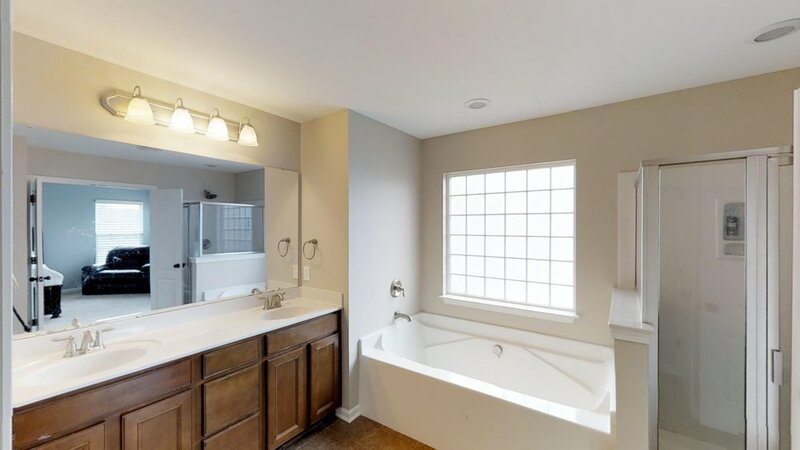 The master bath, equally large, has a double vanity, separate shower, large garden tub, walk-in closet and an extra linen storage closet for storage. 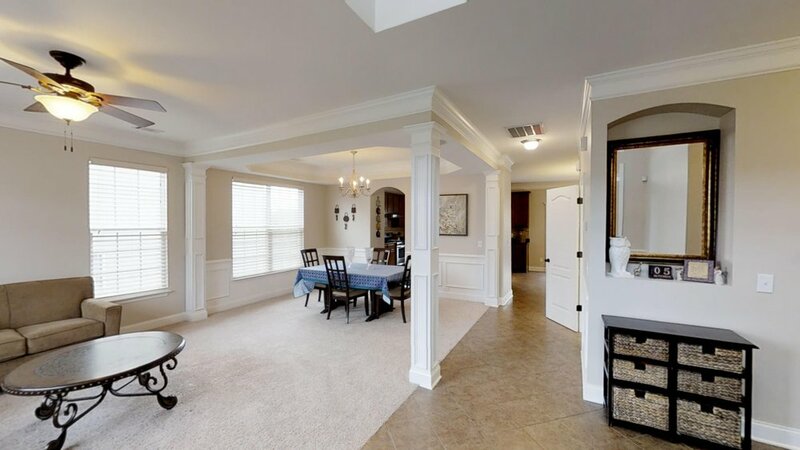 The other 3 upstairs bedrooms are spacious and feature large walk in closets. Don’t miss the chalkboard paint! 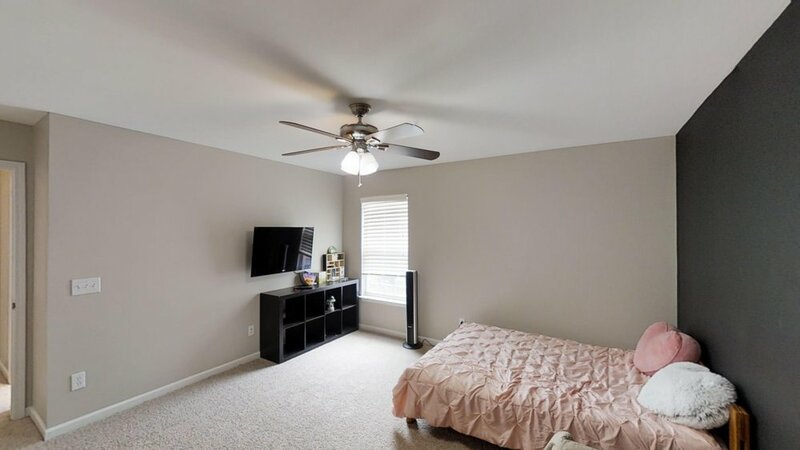 Bedroom 2 has one wall and bedroom 3 has two walls of chalkboard paint for the creative side of your family. Check out the hall closet for overflow storage. Also, most of the bedrooms are shaded in the evenings. 5th BEDROOM on the first floor could easily be an OFFICE. HIGH TECH STRUCTURAL WIRING installed throughout the home, so you can smart wire the whole house and control all this with your smart phone. Lots of cable and low voltage wiring; every room has internet; hard wired cat 5e cable, except the dining room. The kitchen has zone control switches to control stereo volume in each room. High powered HD antennae, the owner built. Too many upgrades to list all of them! You must see it all for yourself! 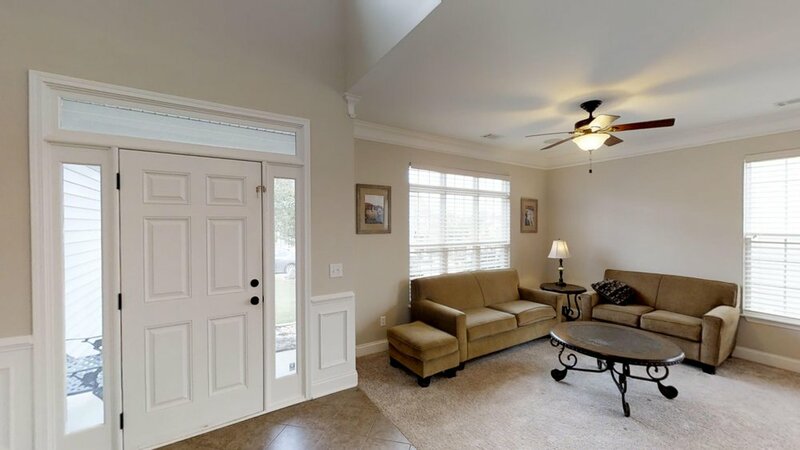 Conveniently located to I-85, Riverside schools, and a great neighborhood. 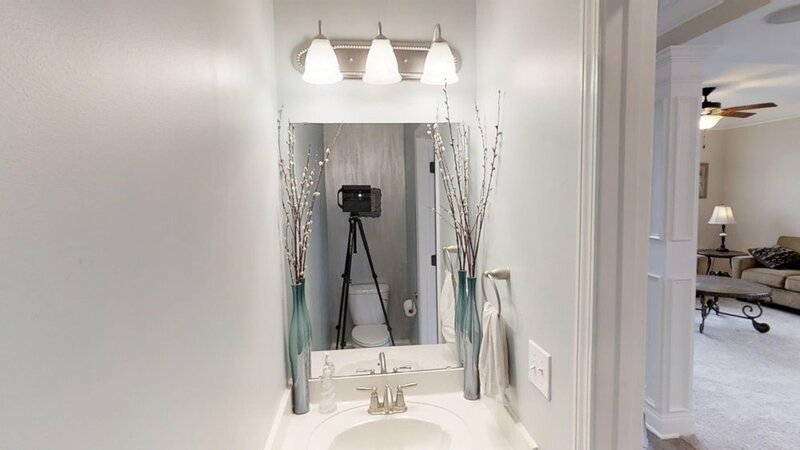 Great home that will go fast! !